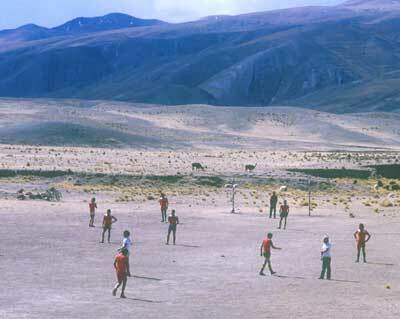 Soccer is played all over the world and even in the most unusual places - below is a shot taken up in the Andes in Bolivia. The llamas are busily feeding just behind the goal. Not exactly Wembley turf !